In a class of its own, Fork & Fingers is a stunning Indian restaurant in Ascot Vale. 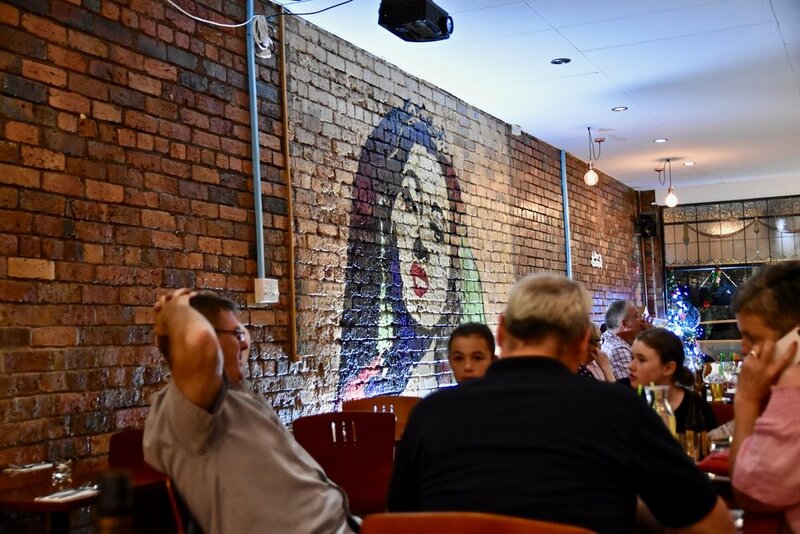 The ambience is modern and relaxed and features striking murals on the wall. 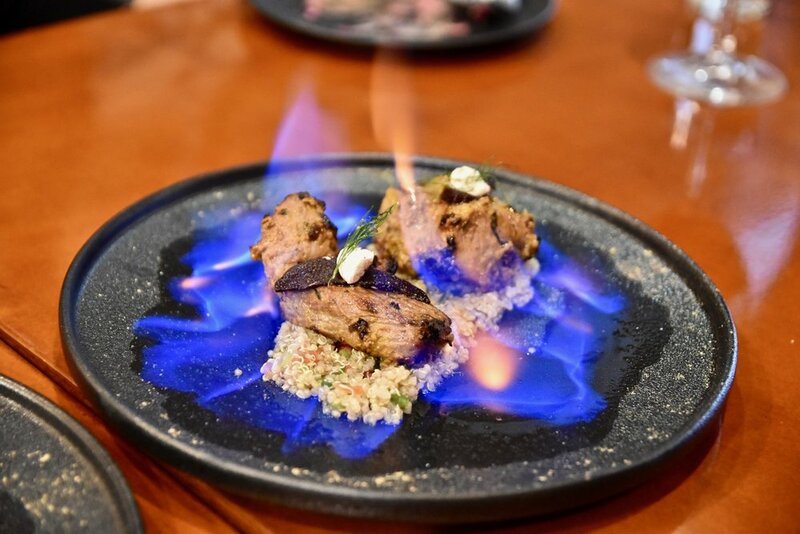 The extensive menu features the restaurant's expertise in Indian cuisine with favourites such as butter chicken and other fusion and exotic dishes you will not get anywhere else. The Vodka puri shots were a fun introduction to Fork & Fingers’ flavour explosion of a menu. A “hands on” street food made of crispy stuffed lentil cracker balls and mango infused vodka tantalised our taste buds. To follow, we loved Beetroot lava paneer tikka – Beetroot tandoori charred cottage cheese was topped with refreshing slaw. From the fusion section of the menu, the Beef vindaloo tacos were a real crowd pleaser. A fusion between Tex-Mex and South Indian flavours, these tacos features slowly simmered beef vindaloo gravy topped with tart raita and greens. Simply sensational. The restaurant’s most famous dish, the butter chicken lasagne-desi lasagne lived up to its reputation. A twist on the Italian lasagne, battered chicken is layered with fresh basil, mushroom, tangy butter sauce and melted cheese. This dish had us fighting for the last morsel. While the menu thrives with modern fusion dishes, the traditional dishes certainly do not play seconds fiddle. We loved tasting two of their stunning traditional curries – perfect with fluffy basmati rice and naans. Our top pick is the Goat Laalmas. A traditional and fiery Rajasthani meat curry which boasts tender goat cooked in a variety of masalas with a burst of red chillies. We loved the smokey flavour this curry imparts. The Goan fish curry was similarly delicious. It was a beautiful yellow curry comprising tender morsels of rockling and made with turmeric, mustard seed, coconut milk and whole spices. Our visit to Fork & Fingers concluded on a wonderfully sweet note with a traditional classic - pistachio kulfi - rich, creamy, and amply sweet and a modern interpretation of the gulab jamun, Gulab jamun cheesecake, served with rose petal jam. And yes, it is as delicious as it sounds. Inspired by restaurants, street stalls and homes of every region of India, Fork & Fingers is a neighbourhood gem. The dishes showcase high quality ingredients and expert techniques.